I’m surprised by how much advertising there was for Wolfenstein. I can’t help but think it’s trying to replicate Homefront’s success through brute marketing. 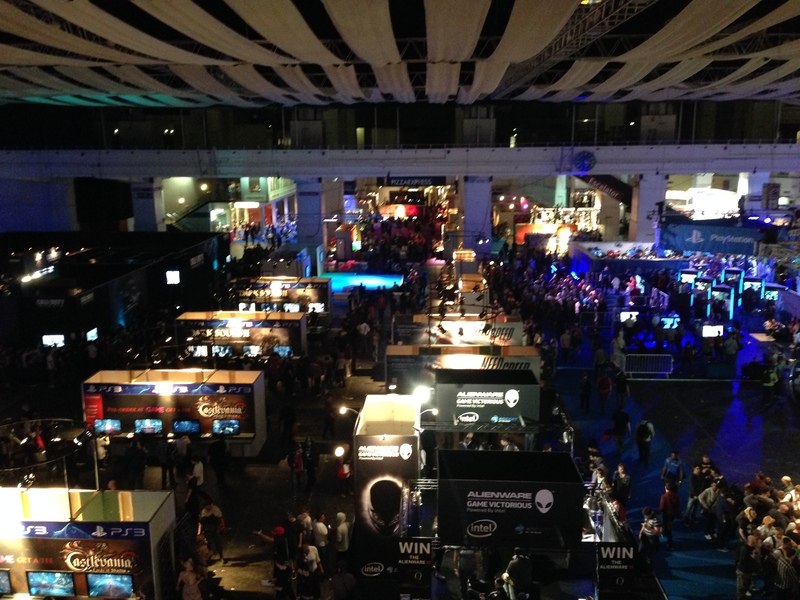 So here’s my confession: I’ve never been to a gaming exhibition. I know it’s strange considering I’ve been passionate about games for most of my life, but alas, it is true. I’ve never got around to planning one out, so after seeing @the_rami tweet that prospective game developers need to go to as many expo’s as possible, I jumped in at the deep end, browsing countless websites that grouped all gaming conventions together. The big one’s like GDC and E3 are both exclusionary, and extremely expensive, meaning there was no way in hell I’d get around to going to one of these within the next few years. I started looking for more consumer friendly shows, one’s that needed no certification to attend; that’s where Eurogamer came in. It was big enough that I’d get a feel for gaming conventions, but extremely cheap: £15 for a day pass was a drop in the ocean compared to $75-$1500 for GDC. The show was big enough to have knackered me by the end of the day due to how much walking was involved, but small enough to see everything I wanted. There were big games from big developers, like The Elder Scrolls Online, Batman Arkham Origins, COD: Ghosts, Titanfall to name a few, but there were also sections dedicated to board games and indie games, some even appeared side by side with the AAA games. It was obvious though, that the vast majority of gamers were there for the AAA games, evidenced by the massive queues to even get your hands on one. It’s a shame that most gamers are mindless when it comes to games, but I suppose that happens in every stroke of life, with some people being passionate about a subject, and others being sheep. There were 2 floors to the convention, with the first floor being exclusively for 18+ only, whilst the ground floor had everything else. I didn’t get to speak to as many developers as I would have liked, but it was still enjoyable to play a few games and talk to people like Leigh Alexander (freelance journalist) and Mitu Khandaker (Redshirt Game), but this wasn’t the place to talk business, and was purely a consumer event for the developers to sell their ideas to the public. The one thing I truly did not understand for the life of me, was Microsoft. They have a new console coming out in the next couple of months, one that they need as many people as possible to buy into and love. Yet at Eurogamer, they had every single Xbox One game hidden behind a black wall, meaning I saw no Xbox One games at Eurogamer, not even the controller. Sony did a similar tactic of walling the PS4 section off, but were clever and only had waist high walls, so I could still watch and gander at all of their exclusive games coming soon. I understand that this could be psychology, allowing people who do queue and wait to feel superior than others, but it contradicts everything about a exhibition. Why should I wait in line for something I don’t know a thing about? Surely allowing public viewing would encourage more people to check out the Xbox One and it’s games? Surely Microsoft want people to talk about what they saw? Either way, I can’t help but feel more excluded by Microsoft’s actions at Eurogamer, and feel more included with Sonys. 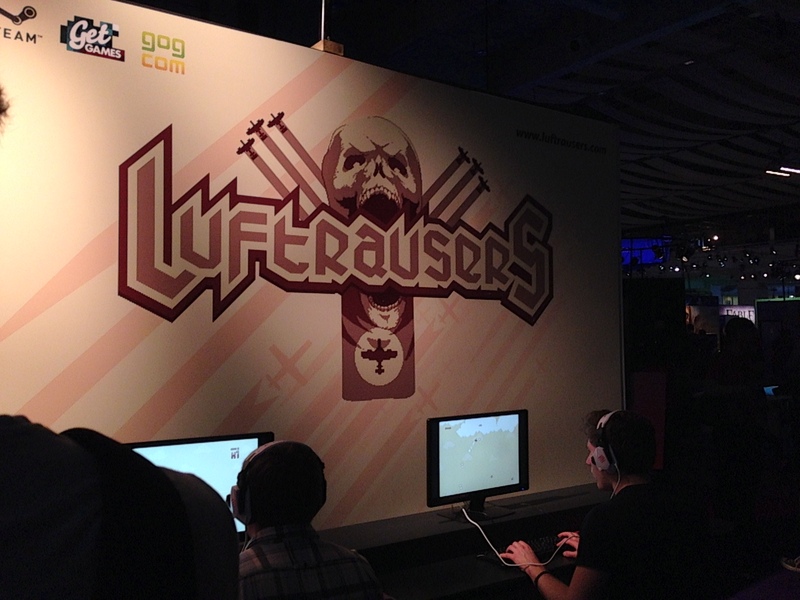 Playing Luftrausers made me genuinely more excited for the final game. I’ll most definitely be buying it on my Vita. 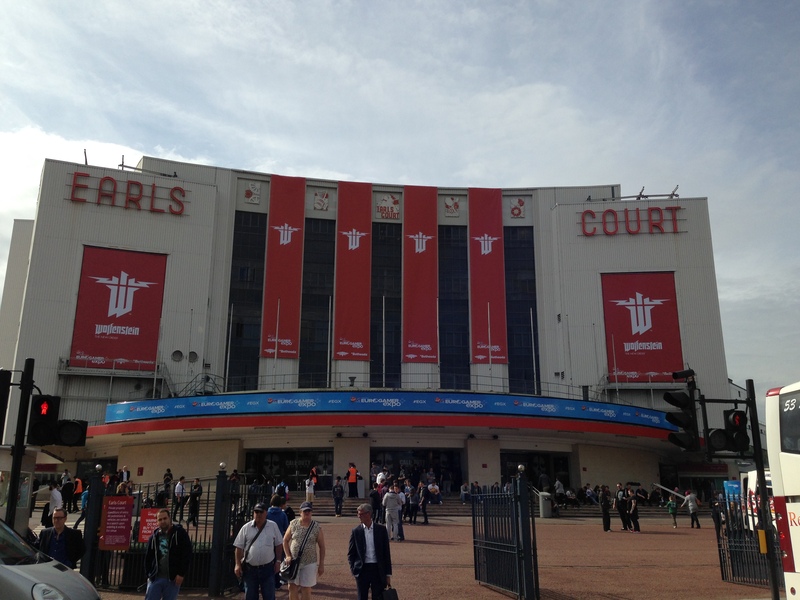 Overall I enjoyed Eurogamer, I shall be attending for the next few years, even hoping that one day my own game is in amongst the rest of the industry. One can dream.